Typically on Sundays, if I am not traveling, I plan out some meals for the week. 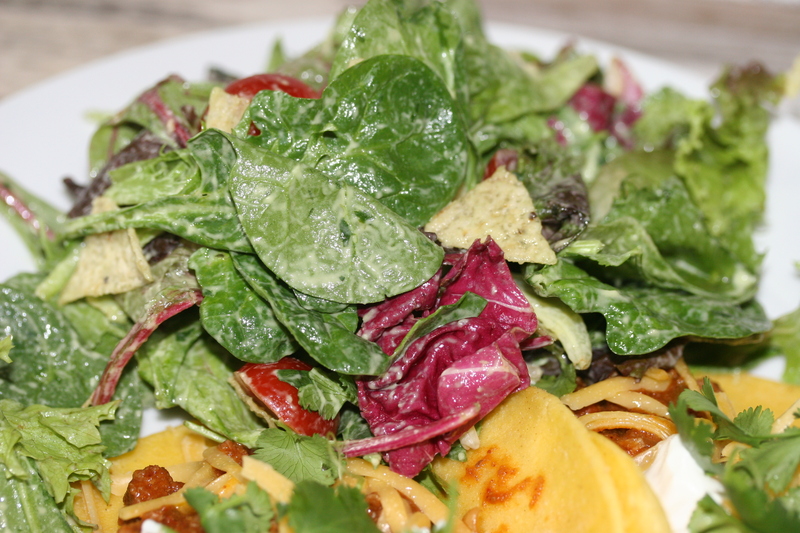 Jill keeps it challenging because she is pretty simple which doesn’t help me blog new recipes…tacos, spaghetti/pasta, burgers, sandwiches or bbq. So this Sunday, she said ground beef tacos. Since we just had those recently, I stayed with beef but decided on barbacoa street tacos. There is a little joint in Cabo we went to that is open air serving up really simple tacos. Double corn tortillas with simple flavored meats with basic toppings of pico, cilantro or chopped onions. Cheese never makes an appearance. I kept it really simple to let the meat be the start. Only garnished with cilantro, onions and avocado with a little Monterrey Jack to provide a barrier for my tortilla so it wouldn’t fall apart in case I had too much juice from the meat. Simple and delicious. 1. In a crock pot add the onions, sliced jalapeno (seeds and all), cilantro stems at the bottom. Rub the meat with the seasoning and place on top of the vegetables. Pour the beer in and enough beef stock to almost top and cover the meat. Cook for 8 hours and until the meat is fall apart tender. 2. Prep: Dice your onions and cilantro. Grate your cheese. Pull your tortillas. And take your shredded meat and put it into a bowl and squeeze out the juice. 3. In a lightly oiled non stick pan on medium heat place your tortillas for about 30 seconds. Flip and add the cheese and cook this side for about 30 or 40 seconds. Remove. Add your meat and condiments. Enjoy. Growing up, taco night right up there with the rare mythical pizza night. 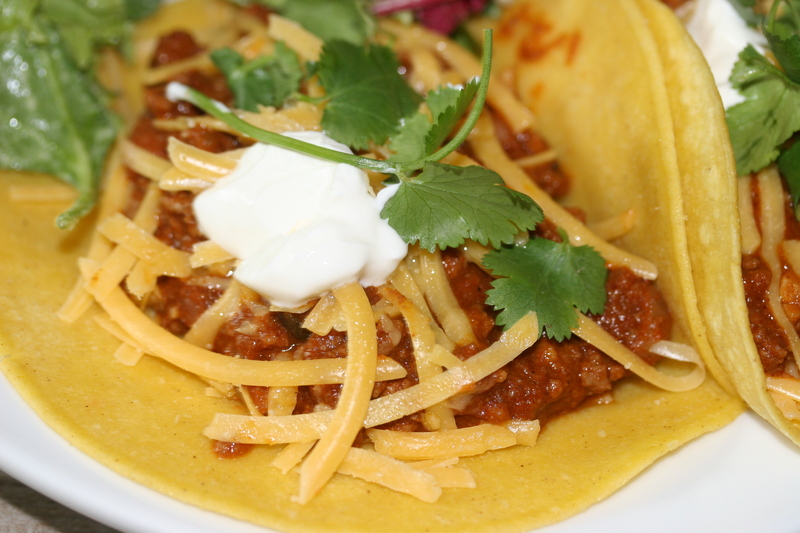 Back then, it was the simple hard shell ground beef taco topped with cheddar cheese. Today my taco aperture is fully widened. To adapt a JBJ lyric … “I’ve seen a million tacos and I’ve rocked them all” or something close. 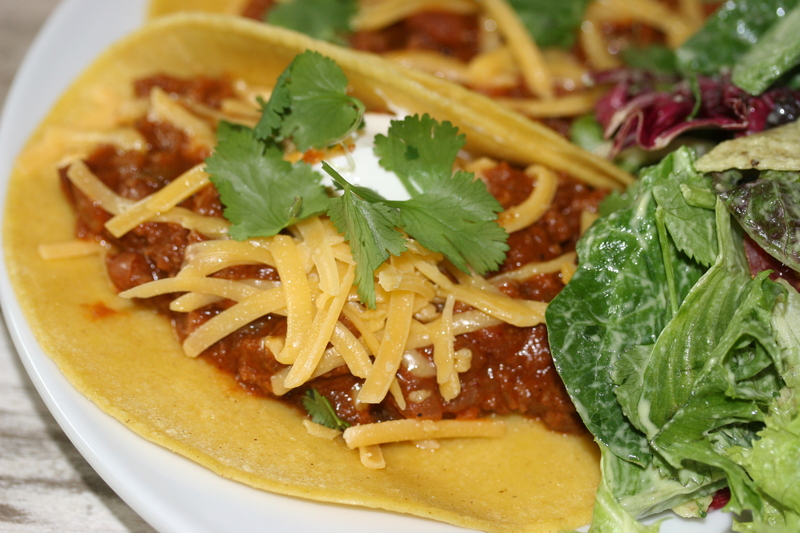 A few decades ago on a visit to the the mother in law, she made us some “California” tacos. At this stage in my game, I had soft and hard shells but not oiled ones. It’s the same basic taco set up but she would take the corn tortillas and softened them in a heated and oiled skillet. Kind of what you might do to an enchilada in sauce. Between us, I am not sure that single act of hot oil made them “Californian.” My hunch is someone, not from California, made them for her whilst she was living out there in her post college days. To me the California taco is a proper fish taco or some street barbacoa or carne asada tacos. The only reason I point that out is out to calm down any Californian who might read this and feel the need to educate me. I get it. The name is more about my MIL vs the state. 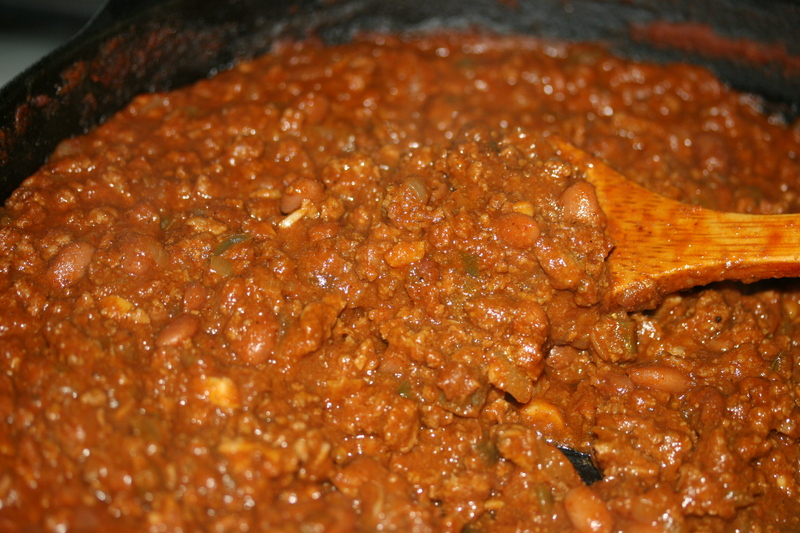 For my beef filling I like to really concentrate and reduce the sauce to a deep, spicy, rich salty mixture. I also like a fine cut of my ground beef while adding beans too. For the flavor, I will play around with my mixture by adding, beer, tomato sauce, green sauce or salsa etc.. This batch I went heavier on the tomato sauce but will use the typical amount in my base recipe. 1. Take your ground beef and chop it on a cutting board. Add to a medium heated skillet to brown. Drain some of the fat. 2. 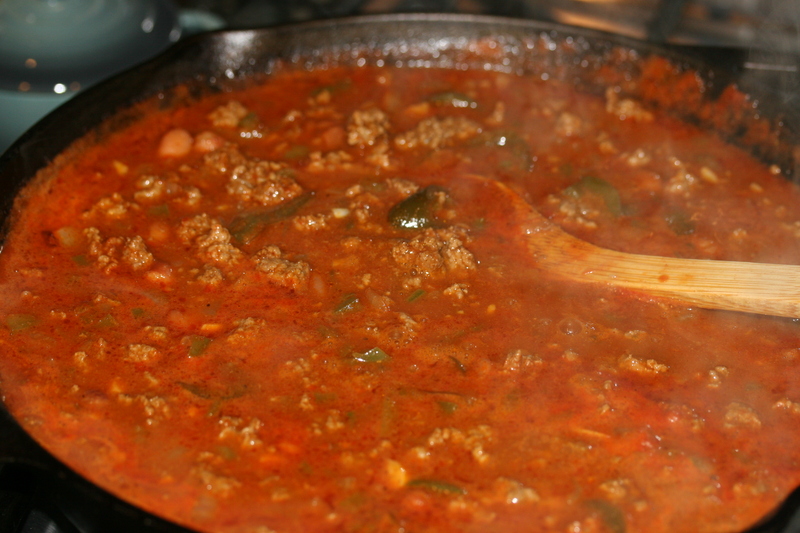 Mince your onion, jalapeno, green pepper and add to the mixture and cook for about 5-6 minutes. Now add your spices and let them bloom for 5 minutes more. 3. Add the wet ingredients and simmer until it is really reduced and tight. You can cheat with cornstarch if you are in a hurry. Just put a 1tbs in a little water and then add and stir. 4. I add my beans towards the end and kind of mash it up a bit. 5. For the tortillas I take about a tablespoon of peanut or vegetable oil in a non-stick pan and heat it up. I use my hand so be careful of burning your self. Tongs tend to rip them. Since I cooked 4 tacos I put all 4 tortillas in the skillet. I flip all four and then take the top two, flip them and then flip all four. The point is each one needs to have contact with oil and heat. This is a one to two minute ordeal. Pull from heat and let them rest on a paper towel to soak up some of the oil. 6. 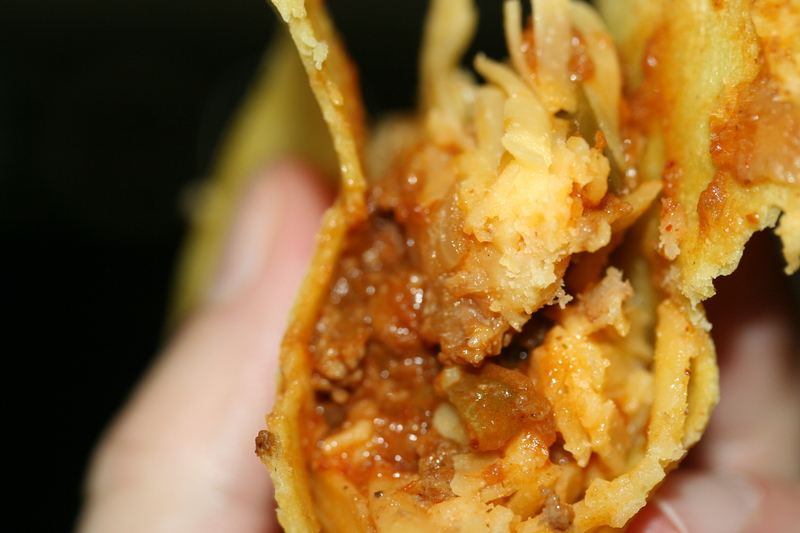 Fill the tortillas with beef, cheese and anything else you want. I also made a simple salad and used avocado, lime juice and oil and blended it until smooth. I smashed a few chips to top. 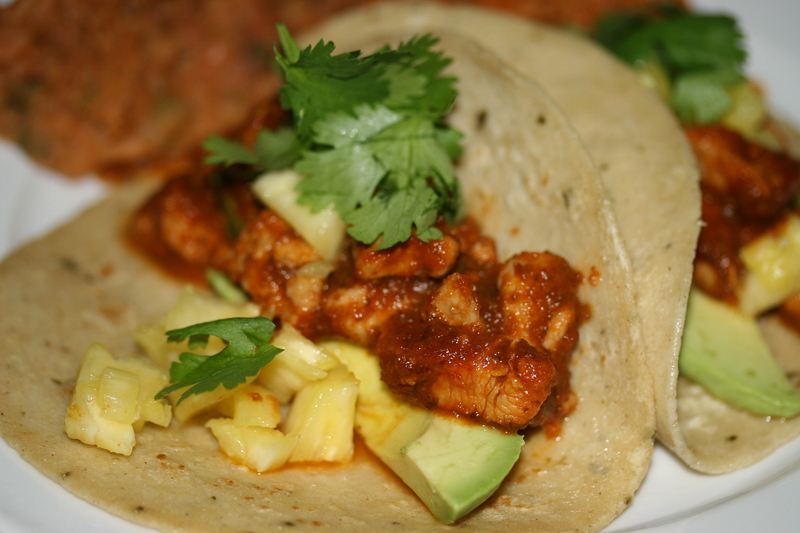 Taco Diner has little chicken al pastor tacos that Jill likes. I wanted to try and replicate them at home so whipped up this recipe. While I love just about everything spicy something about the canned Chipotles in Adobo that is off putting to me. Given I am always bumping up the spice level, the first time I used them I took it too far and dumped the whole can and absolutely overwhelmed whatever I was cooking. Replicating a “al pastor” I knew I had to face this can of smoky heat. I was able to show some restraint and it paid off because these little guys were really great. It’s smoky with a background of heat that slowly builds and the pineapple gives it a great balance of sweetness. Adobo has a really strong smell and when Jill gets home I knew she would be suspect. In fact she asked “ it smells like someone has been smoking pot in here” I was concerned but first bite she said these are really good. ½ bottle of Mexican beer. 1. All ingredients listed under sauce in food processor and blended until smooth. 2. Cube your chicken breasts into small cubes and put them into a pot on medium heat with some oil to sear. 3. Now add the sauce into the pot with the chicken and the beer. Simmer it until sauce is reduced and thick. 4. In a separate skillet add a little oil and put your tortillas in it to soften and heat. 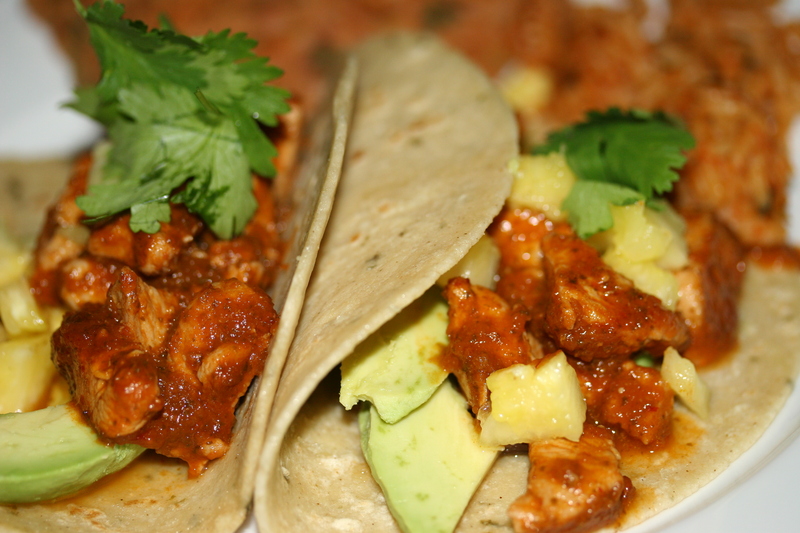 Assemble your tacos by adding your saucy chicken, pineapple and cilantro or anything else you like. We served it with homemade re-fried beans and Spanish rice.